The term achievement motivation may be defined by independently considering the words achievement and motivation. Achievement refers to competence (a condition or quality of effectiveness, ability, sufficiency, or success). Motivation refers to the energization (instigation) and direction (aim) of behavior. Thus, achievement motivation may be defined as the energization and direction of competence-relevant behavior or why and how people strive toward competence (success) and away from incompetence (failure). Research on achievement motivation has a long and distinguished history. In fact, researchers have focused on achievement motivation concepts since the emergence of psychology as a scientific discipline (i.e., the late 1800s), when William James offered speculation regarding how competence strivings are linked to self-evaluation. Achievement motivation is currently a highly active area of research, particularly in the fields of educational psychology, sport and exercise psychology, industrial/organizational psychology, developmental psychology, and social-personality psychology. Achievement motivation research is conducted both in the experimental laboratory (where variables are typically manipulated) and in real-world achievement situations such as the classroom, the workplace, and the ball field (where variables are typically measured). The task of achievement motivation researchers is to explain and predict any and all behavior that involves the concept of competence. Importantly, their task is not to explain and predict any and all behavior that takes place in achievement situations. Much behavior that takes place in achievement situations has little or nothing to do with competence; limiting the achievement motivation literature to behavior involving competence is necessary for the literature to have coherence and structure. That being said, competence concerns and strivings are ubiquitous in daily life and are present in many situations not typically considered achievement situations. Examples include the following: a recreational gardener striving to grow the perfect orchid, a teenager seeking to become a better conversationalist, a politician working to become the most powerful leader in her state, and an elderly person concerned about losing his or her skills and abilities. Thus, the study of achievement motivation is quite a broad endeavor. Many different achievement motivation variables have been studied over the years. Prominent among these variables are the following: achievement aspirations (the performance level one desires to reach or avoid not reaching; see research by Kurt Lewin, Ferdinand Hoppe), achievement needs/motives (general, emotion-based dispositions toward success and failure; see research by David McClelland, John Atkinson), test anxiety (worry and nervousness about the possibility of poor performance; see research by Charles Spielberger, Martin Covington), achievement attributions (beliefs about the cause of success and failure; see research by Bernard Weiner, Heinz Heckhausen), achievement goals (representations of success or failure outcomes that people strive to attain or avoid; see research by Carol Dweck, John Nicholls), implicit theories of ability (beliefs about the nature of competence and ability; see research by Carol Dweck, Robert Sternberg), perceived competence (beliefs about what one can and cannot accomplish; see research by Albert Bandura; Susan Harter), and competence valuation (importance judgments regarding the attainment of success or the avoidance of failure; see research by Jacqueline Eccles, Judy Harackiewicz). Achievement motivation researchers seek to determine both the antecedents and consequences of these different variables. Many achievement motivation researchers focus on one of the aforementioned variables in their work, but others strive to integrate two or more of these constructs into an overarching conceptual framework. One such model that has received significant research attention of late is the hierarchical model of approach-avoidance achievement motivation (see research by Andrew Elliot and colleagues); this model is described in the following paragraphs. Achievement goals are the centerpiece of the model, and these goals are differentiated according to two basic aspects of competence: how it is defined and how it is valenced. Competence is defined by the standard used to evaluate it, and three such standards are identified: an absolute (i.e., task-inherent) standard, an intrapersonal (i.e., the individual’s past attainment or maximum possible attainment) standard, and an interpersonal (i.e., normative) standard. At present, absolute and intraper-sonal standards are collapsed together within a “mastery goal” category, and normative standards are placed within a “performance goal” category. Competence is valenced by whether it is focused on a positive possibility that one would like to approach (success) or a negative possibility that one would like to avoid (failure). Putting the definition and valence aspects of competence together yields four basic achievement goals that are presumed to comprehensively cover the range of competence-based strivings. Mastery-approach goals represent striving to approach absolute or intrapersonal competence, for example, striving to improve one’s performance. Mastery-avoidance goals represent striving to avoid absolute or intrapersonal incompetence, for example, striving not to do worse than one has done previously. Performance-approach goals represent striving to approach interpersonal competence, for example, striving to do better than others. Performance-avoidance goals represent striving to avoid interpersonal incompetence, for example, striving to avoid doing worse than others. These achievement goals are posited to have an important and direct impact on the way people engage in achievement activities and, accordingly, the outcomes they incur. Broadly stated, mastery-approach and performance-approach goals are predicted to lead to adaptive behavior and different types of positive outcomes (e.g., mastery-approach goals are thought to optimally facilitate creativity and continuing interest, and performance-approach goals are thought to optimally facilitate performance attainment). Mastery-avoidance and, especially, performance-avoidance goals, on the other hand, are predicted to lead to maladaptive behavior and negative outcomes such as selecting easy instead of optimally challenging tasks, quitting when difficulty or failure is encountered, and performing poorly. A substantial amount of research over the past decade has supported these predictions. Achievement goals are viewed as concrete, situation-specific variables that explain the specific aim or direction of people’s competence pursuits. Other variables are needed to explain why people orient toward different definitions and valences of competence in the first place, and why they adopt particular types of achievement goals. Higher-order variables such as achievement needs/motives, implicit theories of ability, general competence perceptions, and features of the achievement environment (e.g., norm-based vs. task-based performance evaluation, harsh vs. lenient performance evaluation) are used to explain achievement goal adoption. These variables are not posited to have a direct influence on achievement outcomes, but they are expected to have an indirect influence by prompting achievement goals that, in turn, exert a direct influence on achievement outcomes. Achievement needs/motives may be used as an illustrative example. 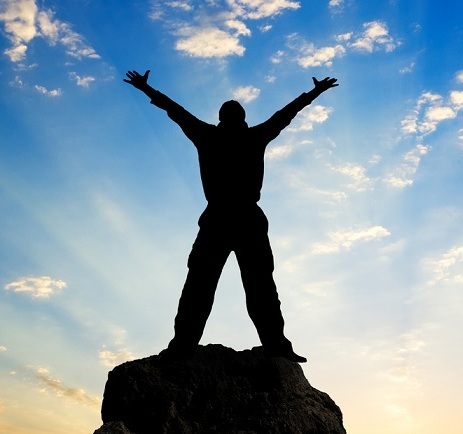 Two types of achievement needs/motives have been identified: the need for achievement, which is the dispositional tendency to experience pride upon success, and fear of failure, which is the dispositional tendency to experience shame upon failure. The need for achievement is predicted to lead to mastery-approach and performance-approach goals, whereas fear of failure is predicted to lead to mastery-avoidance and performance-avoidance goals. Fear of failure is also predicted to lead to performance-approach goals, a need/motive to goal combination that represents an active striving toward success to avoid failure (i.e., active avoidance). The need for achievement and fear of failure are posited to have an indirect influence on achievement outcomes through their impact on achievement goal adoption. A number of empirical studies have provided evidence in support of these predictions, as well as many other hierarchically based predictions (involving other higher-order variables) derived from the model. Models of achievement motivation are of theoretical importance because they help to explain and predict competence-relevant behavior in a systematic and generative fashion. Such models are also of practical importance because they highlight how factors besides intelligence and ability have a substantial impact on achievement outcomes. Competence is widely considered a basic need that all individuals require on a regular basis for psychological and physical well-being to accrue. The bad news from the achievement motivation literature is that many people exhibit motivation in achievement situations that leads to maladaptive behavior, undesirable achievement outcomes, and, ultimately, ill-being. The good news from the achievement motivation literature is that motivation is amenable to change. Covington, M. V. (1992). Making the grade: A self-worth perspective on motivation and school reform. Cambridge, UK: Cambridge University Press. Heckhausen, H., Schmalt, H.-D., & Schneider, K. (1985). Achievement motivation in perspective (M. Woodruff & R. Wicklund, Trans.). New York: Academic Press. McClelland, D. C., Atkinson, J. W., Clark, R. A., & Lowell, E. L. (1953). The achievement motive. New York: Appleton-Century-Crofts.